Help & Manual is one of the most efficient authoring tools for creating online help systems and printed user manuals from a single source. Compared to other authoring tools, the basic use of Help & Manual is quite simple. The true potential, however, is hidden under the hood. Do you want to be able to use Help & Manual quickly without wasting time on the learning curve? Do you want to avoid any strategic errors when setting up your projects? Do you want to make use of the full potential that Help & Manual provides? The goal of my in-house training on Help and Manual / on-site training on Help and Manual is to save you as much time for getting familiar with the system as possible. In addition, you will learn to use Help & Manual in a way that guarantees the best possible results and the maximum possible efficiency. Benefit from my own long-standing practical experience with Help & Manual. In the internal Help & Manual training, we won’t use any generic examples. Instead, we can work hands-on on your own projects and can look at the spots where you’ve run into trouble. If you do not yet have set up any project, we can do so together. 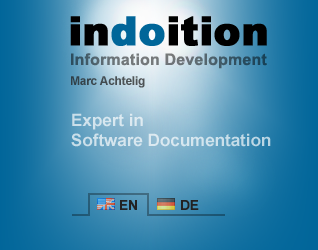 By the way: In case you do not yet have much experience in writing software documentation and user assistance, we can complement the training with the basics on software documentation and with the basics on writing clear texts that everybody can understand.